YWAM-Nashville regularly runs Discipleship Training Schools that include a three month training phase before students and staff embark on an 8 week outreach. This school had a two week outreach in Alabama and Mississippi before heading to Puerto Rico. 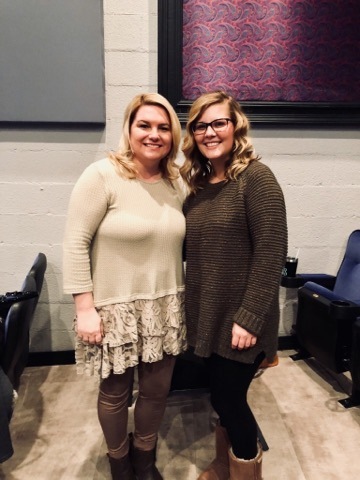 While sharing their faith in Alabama, Ellie and Bri (two DTS students) saw God powerfully minister to a lady in a desperate hour of her life. Ellie shares the story about how God helped her overcome the enemy’s lies leading to a defining moment for a young lady named Trish. “I was feeling very discouraged. The enemy attacks me by saying my voice doesn’t matter, no one cares, etc. I didn’t want to talk to anybody. My friend and I ended up walking past a lady who seemed to recognize me from somewhere. As we walked past each other, we both turned around and looked at each other. My friend and I asked if we could pray for her before knowing her story. She was moved to tears, saying, “y’all have no idea how badly I need prayer right now. 2017 was the hardest year of my life.” We stood there for 20 minutes listening to her story before kneeling on the floor in the middle of the mall, holding hands and praying. She had lost her brother, went through a divorce, lost her job, and lost her home in a fire set by an intruder. She suffered from depression. My heart aches for her. Please continue to keep Ellie, Bri, and the rest of the DTS in your prayers as they are currently ministering in Puerto Rico through the first week of March!